I'm very much sure that you have at least heard of the term "Probiotics" though many are not quite familiar with what it actually is. The concept of Probiotic was proposed by Elie Metchnikoff (1907) where he theorized the advantages of using a host-friendly bacteria in health improvement. The credit of introducing the term (1953) goes to Werner Georg Kollath, a German bacteriologist, hygienist and food scientist. Digging back into the history, the term Probiotic has had different definitions. 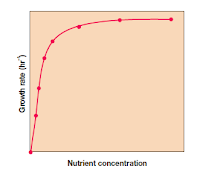 The first definition (1965) was, a substance secreted by one microbe that enhances or stimulates the growth of another. This has changed to, live microorganisms that, when administered in adequate amounts, confer a health benefit on the host. There are many different probiotic formulations available in the market. The exact composition varies but almost all of the validated products have Lactobacillus and Bifidobacterium species incorporated into it. A common question asked is, if regular consumption of Probiotic good and do these microbes impact improvement in health? Though it has been debated, most experts agree that commercial probiotics are not something you want in your regular diet. Probiotics works in several ways. For example, Lactobacillus species (also found in yogurt and curd) are known to produce vitamins of interest and boost immune functioning. Bifidobacterium species are known to regulate other commensals in the gut. Fig 1: Prebiotic vs Probiotic. 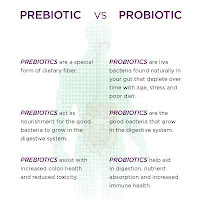 Probiotics are often recommended when there is a microbial imbalance. Currently, probiotics mainly target gut microbiome. In cases where a patient is on antibacterial therapy, where gut microbiome is bound to be influenced, probiotics are recommended. One question is if the probiotic bacteria themselves have a resistance pattern. Studies have shown that probiotic bacteria are resistant to many different drugs (depending on the species involved in the formulation). This may be of indirect help since, probiotic microbe shouldn't be attacked by the antibiotic so that they are available to do their work. A second not so common but the related term is "Prebiotics". Prebiotics are a non-digestible food ingredient that promotes the growth of beneficial microorganisms. 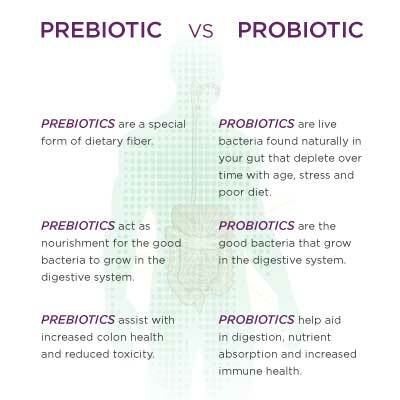 The important differences between probiotic and prebiotic are shown in Fig 1. Considering that there is a lot of research in recent times indicating the importance of microbiome, certain experts have opinioned that probiotics could be used as an influencer to modulate the biome. For example, Several candidate rotavirus vaccines had low efficacy in clinical trials which were peculiar to a subpopulation. Apart from genetic factors, certain studies have indicated possibility of microbiome as an important determinant of efficacy. Also considering that microbiome is a known factor in immune development. So does the probiotic qualify as a vaccine in its own right? Well, that could be debated. Probiotics are also being researched as a vaccine adjuvant (See Table 1 for some examples), Psychobiotics etc. It is a wrong idea that probiotics are only for the gut. The concept of probiotics can be used in any context where a microbiome is involved. For example, skin is highly covered by microbiome. There is a substantial research evidence that probiotics can play a significant role in skin heath, such as improvement in atopic dermatitis, healing of scars and improving skin’s innate immunity. It is already a recommended practice according to many guidelines, to take probiotics as an adjunct to antibiotics. In future (Im slightly overblowing the conept), I anticipate it will be a custom to profile a person's microbiome and then give them a probiotic configuration accordingly to help in the treatment of multiple conditions. Influenza is a topic about which I have written a good number of posts (Link). 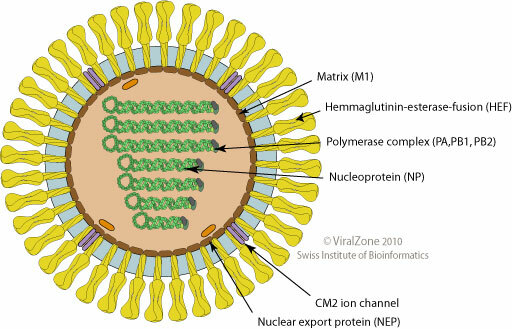 Influenza virus is a member of Orthomyxoviridae characterised by a single-stranded segmented RNA genome. The influenza viruses are classified into types A, B, C and D on the basis of their core proteins. 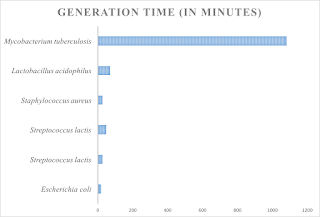 Influenza A and B contains 8 genome segments whereas C and D contain 7. The evidence that Influenza D is significantly different from C comes from 2 lines- Genetic studies showing large differences and hemagglutination inhibition assays, showing a lack of cross-reactivity. Till recently, the name "Influenza D" has been tentatively used. Recently the executive committee of ICTV has officially approved the nomenclature. 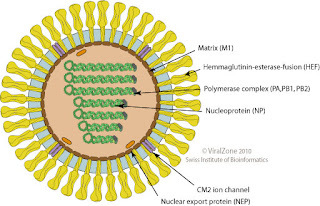 Structurally, Influenza D virus (IDV) is an enveloped, rounded virus measuring 80-120 nm in diameter. The genome is segmented ssRNA(-) linear genome, encapsidated by nucleoprotein (NP). Contains 7 segments coding for 7 proteins. Viral RNA polymerase (PB1, PB2 and PA) transcribes one mRNA from each genome segment. 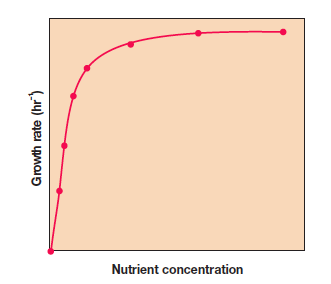 Transcription is primed by cap snatching. 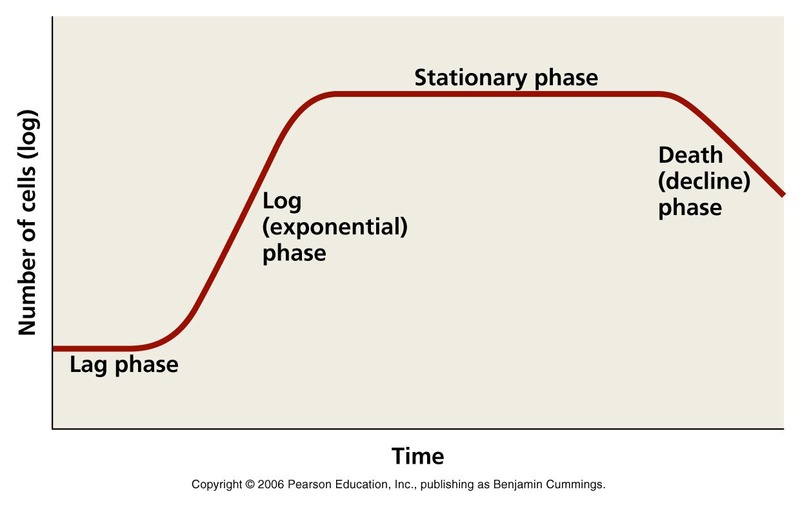 See Fig 1. A major distinguishing feature of IDV is the hemagglutinin-esterase (HE) fusion protein, which is responsible for receptor recognition, viral fusion, and destruction of the host receptor. IDV has approx 50% amino acid identity to human influenza C virus (ICV). 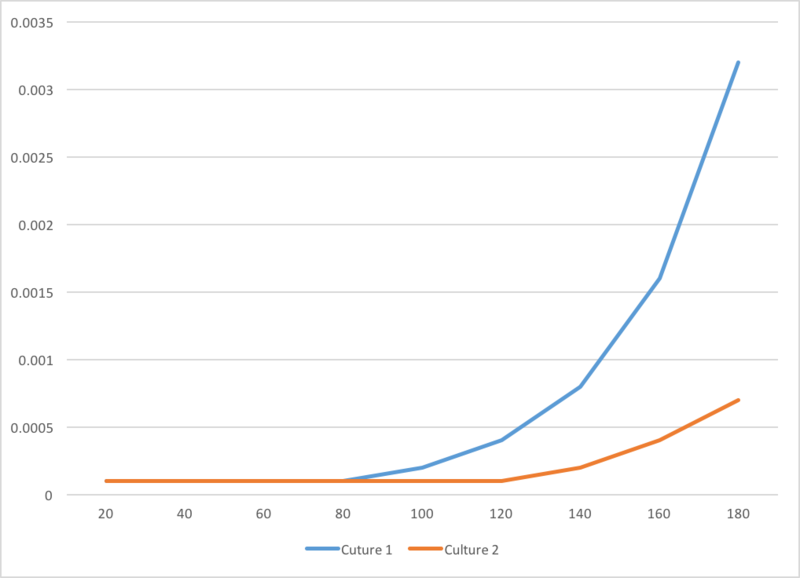 The segments of IVC and IVD that contain PB1 share a 72% identity, while the segment containing HE has diverged further to 53%. IDV, (similar to ICV) uses 9-O-acetylated sialic acid as its receptor. IDV is primarily an infection of the cattle. Research has conclusively established that IDV can transmit between cattle but it is not clear as to what is the risk of human disease. The virus can clearly infect human cells in cell culture models, and transmission in ferrets has been documented. Serological positivity has been documented against IDV from people with occupational contacts with cattle. Pigs and cattle are the primary natural reservoir. The IDV can be isolated and cultured in swine testicle at 37 C. IDV has been isolated from pigs in Oklahoma and from cattle in China, France, and the United States, including the states of Minnesota, Kansas, Nebraska, Oklahoma, and Texas. I did a literature search but couldn't find any reported human IDV cases. It appears that Influenza D is not as big as a threat as some people have projected it to be for a couple of possible reasons. First, IDV appears to be a very stable clone and hence antigenic variability is very low. In contrast with Influenza A, this means that herd immunity is easy to achieve. Second, IDV cases are not reported, though serological positivity is documented. This implies that probably the virus can cause subclinical infection but is not a significant health threat. Ferguson L, Olivier A, Genova S, Epperson W, Smith D, Schneider L et al. 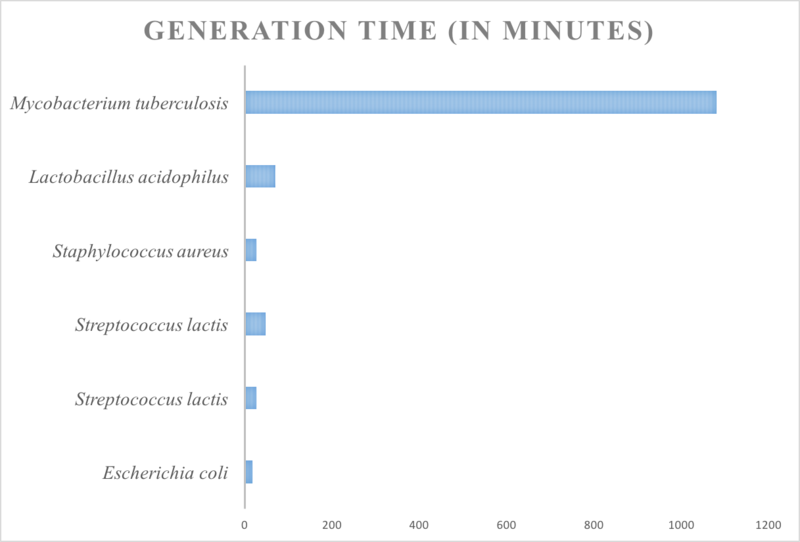 Pathogenesis of Influenza D Virus in Cattle. J Virol. 2016;90(12):5636-5642. White S, Ma W, McDaniel C, Gray G, Lednicky J. Serologic evidence of exposure to influenza D virus among persons with occupational contact with cattle. Journal of Clinical Virology. 2016;81:31-33. Song H, Qi J, Khedri Z, Diaz S, Yu H, Chen X et al. An Open Receptor-Binding Cavity of Hemagglutinin-Esterase-Fusion Glycoprotein from Newly-Identified Influenza D Virus: Basis for Its Broad Cell Tropism. PLoS Pathog. 2016;12(1):e1005411. All those readers who have been reading my blogs for a long time and following the contents might be aware that I had long ago announced that I would be interested in working on a podcast. However, my end of the issue was I was not sure how and didn't have team mates then. Also, my tech knowledge to create the content was (and still is), quite limited. Podcasting is not a new phenomenon. There are several different high-quality podcasts out there done professionally and appealing to a wide range of audience. I regularly listen to several of them. Interestingly, medical microbiology related posts are less (There are a still a significant few of them). 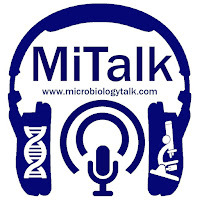 I also realised that there is really no microbiology podcast from the South-east Asian region and that would be something really useful to have. 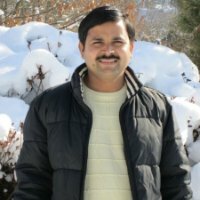 Saumyadip Sarkar the "communication guy" who does recording, editing and contacting scientists. We have already recorded 3 episodes and 2 are available online. I understand that we are learning how to do this stuff and create a good audio content. Everyone is working on creating better content, and it is getting better with each episode. The first recording was about biofilms, the second on Zika and we are soon going to release a new episode on Leprosy vaccine. 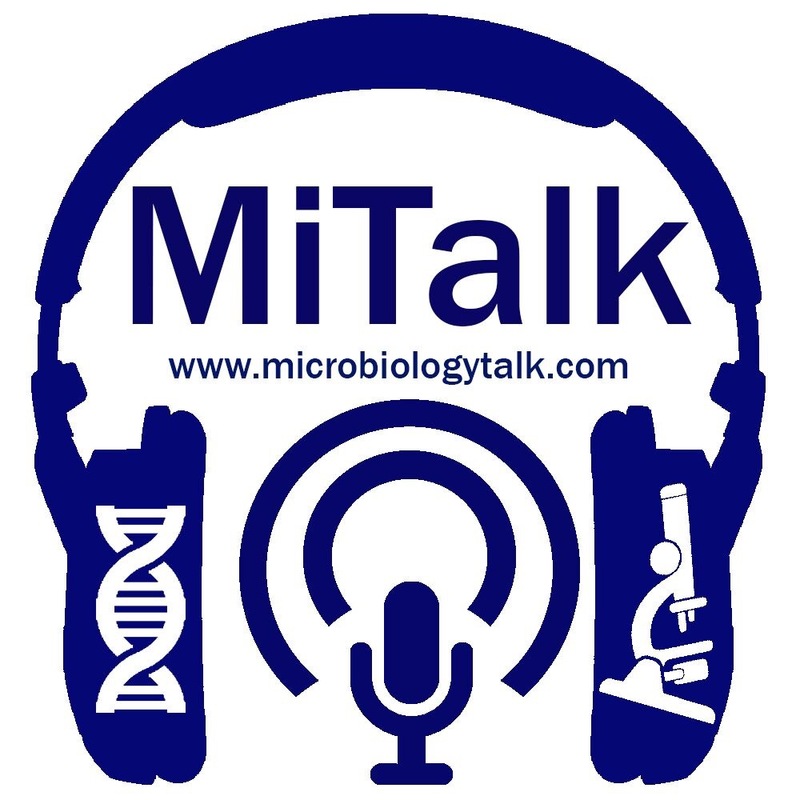 The show will host educational audio content about basic microbiology, interesting recent research findings and will be inviting researchers from the field to talk about their work. We are already working on one (Details are a secret until you listen to the show). Also, if you want someone to be there on the show we will welcome them also. All details are there on the Website. Check out all tabs. And meanwhile also let us get some idea of what people expect from an educational podcast by answering this questionnaire. It will not take more than 5 minutes of your time.